Already the prestigious series’ winningest pilot, Fifer Adam and Optimum Motorsport teammate Flick Haigh carry a 27.5 point lead into the final 120 minutes of a season closely fought over 375 laps in eight races across six rounds. A top-six finish will add a third title to the back-to-back 2015 and 2016 crowns claimed by Aston Martin factory driver Adam, who hopes history might repeat itself after taking the top step at the Leicestershire circuit finale 12 months ago. Haigh and Adam’s championship challenge has been ignited by a run of three podiums, including victory at Brands Hatch last time out, but a 20-second success penalty will add extra spice at the driver changeover for the #75 crew and the Kirkcaldy-born 34-year-old is setting the comfortable points cushion to one side. 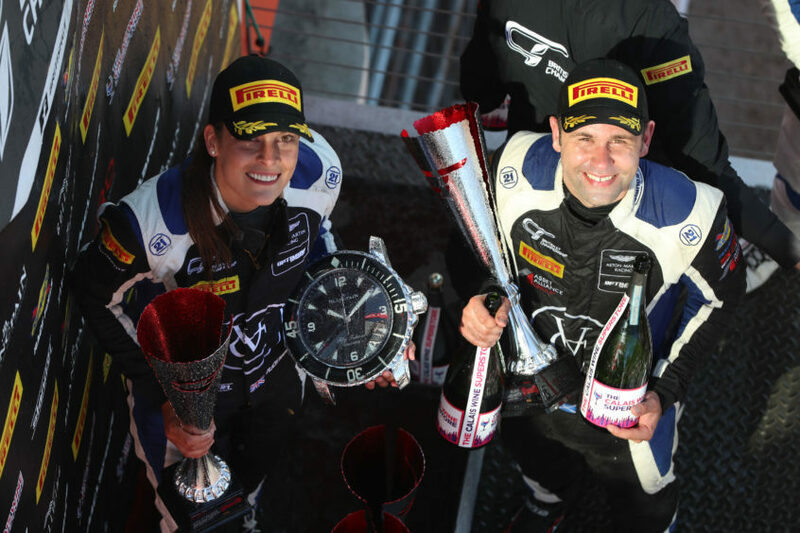 Haigh can also rewrite the history books by becoming the first women to win the British GT title outright – having already penned a new British GT chapter with victory in the Aston Martin Vantage GT3 in April’s opening Oulton Park round. 2017 Le Mans 24 Hours winner Adam said: “It’s a Donington decider yet again! 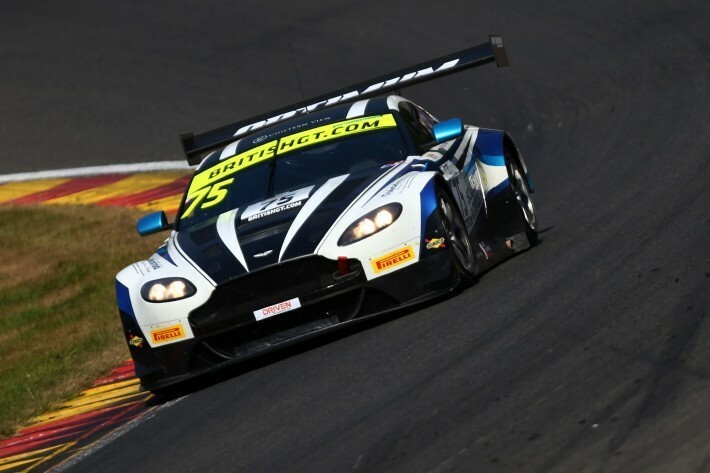 “It’s been an enjoyable 2018 British GT season with Flick and Optimum Motorsport with success throughout. And, if any extra incentive were needed, the Camberley-based Scot is determined to play his part in delivering a fitting swansong for the Vantage in what will be his 90th race start in the machine he was the first driver to shake down in 2011. “It’s the last race of the current GT3 Aston Martin Vantage, a car which has had huge success in British GT over its seven-year period and brought me some great memories throughout,” said Adam. 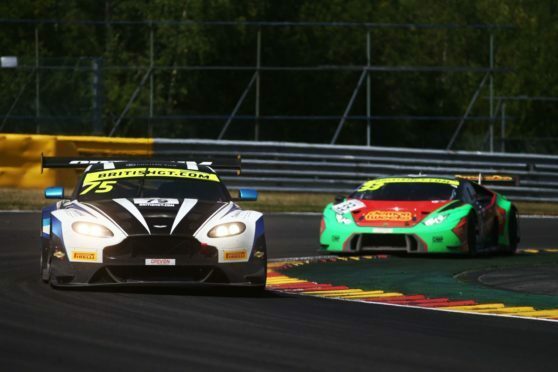 “It would mean a lot personally to achieve three championships with three different teammates in British GT, and for Aston Martin to get another title for the current Vantage GT3 would be a great story. The race gets underway at 1.35pm on Sunday.